The attorneys at the Nevada Family Law Group focus on divorce, child custody, child support, and other family-law issues. However, we do not take the one-size-fits-all approach you may find at other firms. Because we recognize that every case is unique, we take a personalized approach to your case, which means that no matter the family-law issue, we can help. All of us at the Nevada Family Law Group believe in the importance of the family and the institution of marriage. We know from personal experience that successful marriages and families come at the end of hard work. In our work, nothing is more rewarding than bringing children and parents together through adoption. Similarly, many of the difficulties encountered in marriage can be avoided through the careful deliberative process of planning and prenuptial agreements. But at the Nevada Family Law Group, we are also keenly aware that not all marriages survive the buffeting life can bring. Divorce and custody issues are often the most emotionally-charged and financially draining cases in today’s courtrooms. Whether the issues are about the ending of the dream of a happy marriage, or the fear of losing time with children, the attorneys and staff at the Nevada Family Law Group assists clients through the entire process. We craft your legal strategy to best fit your short- and long-term needs and goals. We regularly work with some of the best financial and psychological experts to ensure that your outcome is as good as can be obtained. The attorneys at Nevada Family Law Group have been helping couples in Las Vegas for years and can also help you through this difficult situation. Nevada Family Law Group can help with child custody matters you may be facing to maximize the role you can play in your children’s lives. The attorneys at Nevada Family Law Group are well prepared to review their client’s financial conditions and to work to get them the alimony they deserve. If you are seeking to relocate with your child, or if you are trying to keep from losing time with your child, speak to one of the attorneys at Nevada Family Law Group. The attorneys at Nevada Family Law Group understand how to unravel the complex issues surrounding paternity cases. It's not about the money, it's about the best interest for your children. For that reason, having a skilled and experienced family law attorney is critical. 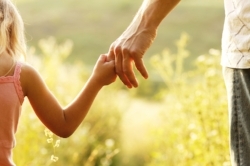 The attorneys at Nevada Family Law Group have the knowledge and experience to guide their clients through the complexities of adoption and guardianship law. The attorneys at Nevada Family Law Group understand how to craft an agreement that protects the interests of our clients.